" Worked great for me. In combination with the 12 volt DC power cord I was able to connect to a marine battery and tent camp as my family and I love to do. " 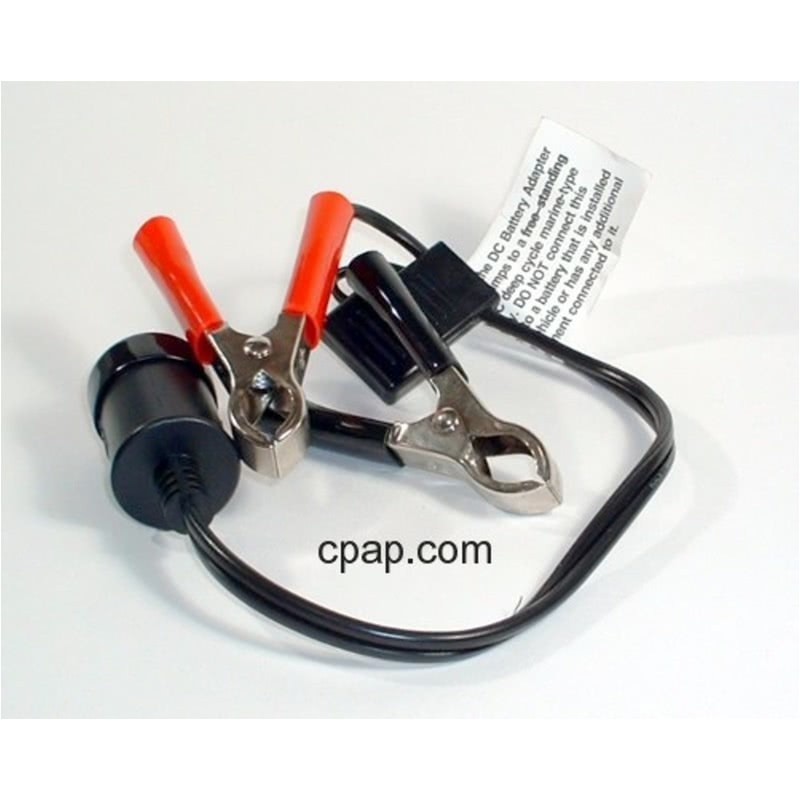 The Respironics, 12volt DC Battery Adapter Cable with Battery Clips fits over the cigarette lighter plug on the DC power cords and ends in alligator clips in order to connect a CPAP directly to a free standing battery. 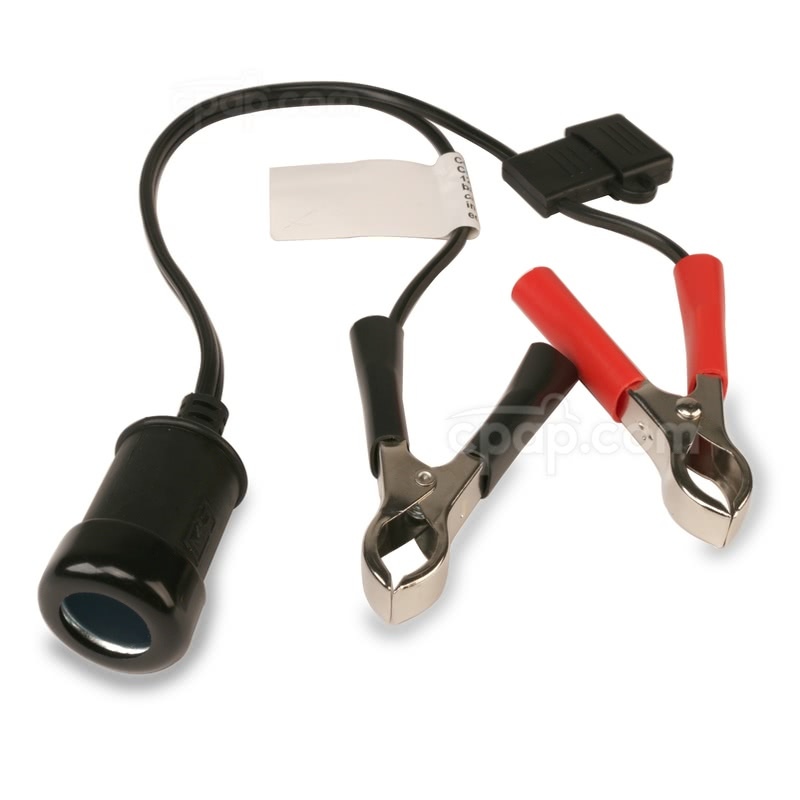 A DC power cord is needed in order to use this adapter. There is a 15 amp fuse installed. The adapter must be used with a free-standing battery only. It should not be connected to a battery that is installed or connected to anything else. 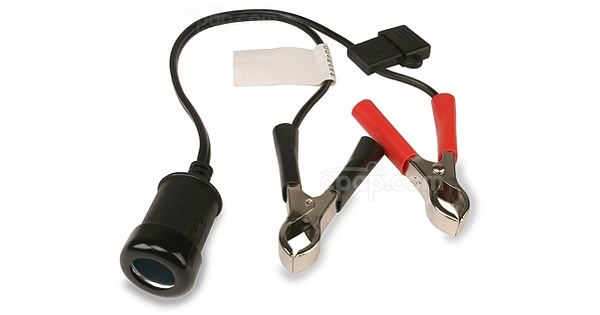 The DC Battery Adapter Cable clamps to a free-standing 12V DC deep cycle type battery. 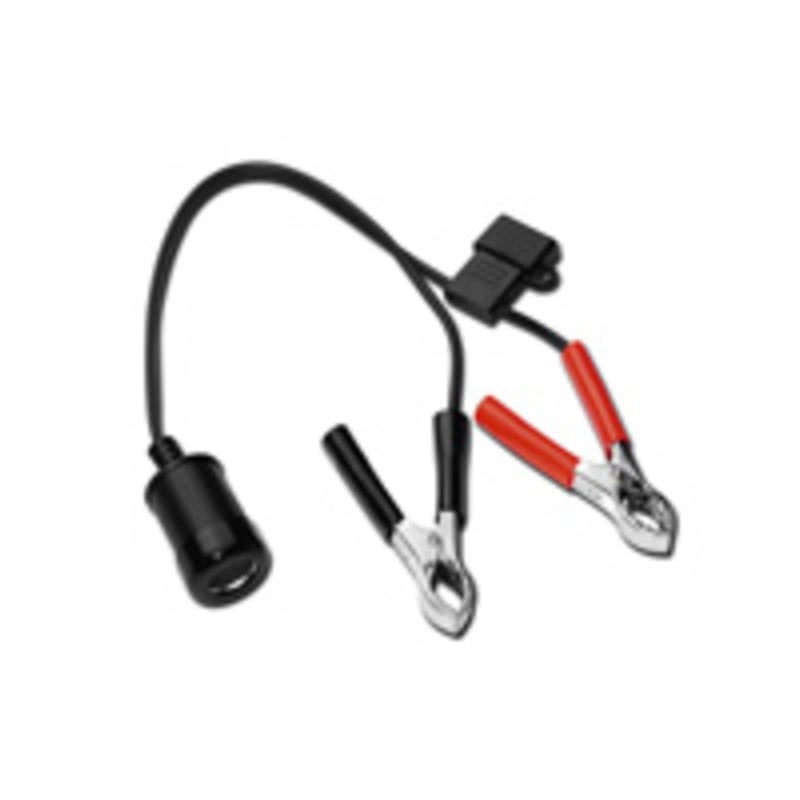 DO NOT connect this cable to a battery that is installed in a vehicle or has any additional equipment connected to it.